Redeem Pizza Points for .50 CASH/each! 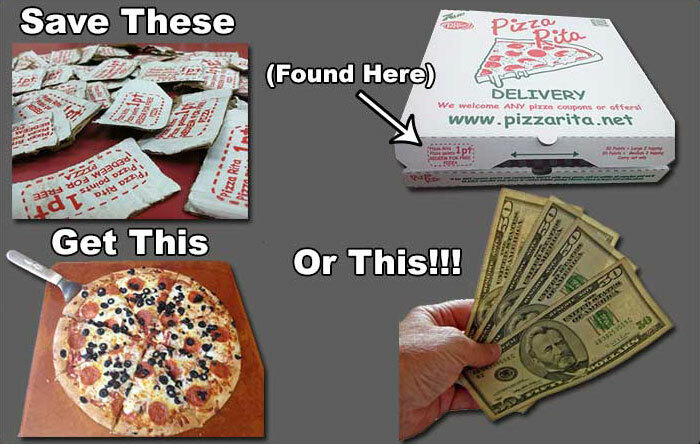 Pizza Rita PAYS YOU for EVERY pizza, purchased ANYTIME, ANYWHERE! Call Brian @ 509-953-1486 to register!! Then tell EVERYONE - Club and Team members, Friends and Relatives) to order Pizza Rita, Save the Flaps & Collect the CASH!! !